It’s a subject that’s debated, sometimes hotly, in every sport. Which athletes should get the ultimate acknowledgment of their career by being named to the Hall of Fame? With the Argos, we know that Ricky Ray will be inducted when his career is over, most likely in his first year of eligibility. But which other former Argos should get some consideration? Argonauts.ca takes a look at some of the players or builders who should be discussed by the selection or veterans committee. Ask long-time fans who is the best Argos receiver in the last 50 years and the name that will be mentioned is likely that of Greer. His omission from the Hall of Fame is puzzling. He played six seasons in the CFL, all with Toronto. PROS: In four of the five seasons he was healthy he recorded over 1,000 receiving yards. In 1983 he became the first pro receiver to go over the 2,000 yard mark, catching 113 passes for 2,003 yards. He had five games of 200 or more yards, second only to former Eskimo Brian Kelly’s six in league history. Was twice named All-CFL. CONS: It must be league longevity that’s keeping him out. He was only here for six seasons, but then again, that’s how long Warren Moon was in the league. Greer recorded over 1,000 receiving yards in four of those six years. At some point the Veteran’s Committee has got to induct Greer into the Hall, he’s one of the best to ever play the position in the CFL. One would think “D.K.” would be a longshot, certainly behind Greer in terms of electivity, but some of Smith’s numbers are eye popping. PROS: An extremely exciting receiver to watch, his most impressive stat came in 1990 when he caught 20 TD passes, the third highest total in CFL history, trailing only Milt Stegall and Allen Pitts. He had four 1,000 seasons, another of 959. CONS: Longevity hurts Smith too, as he only played seven seasons in Double Blue before ending his career with four games with Edmonton. Only ranks 40th on the all-time CFL yardage list. 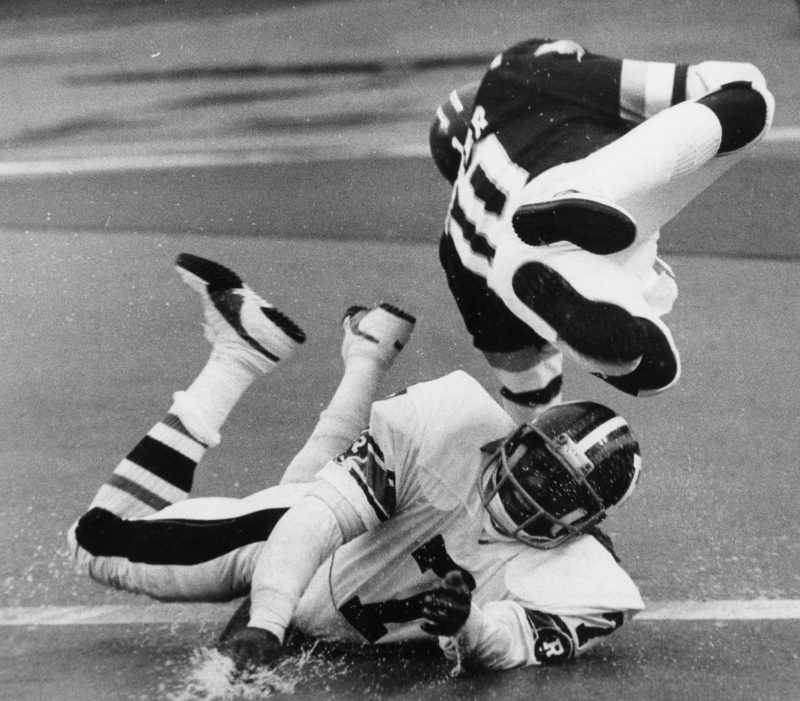 “Leo the Lip” remains one of the most colourful characters in CFL history. A head coach, general manager and recruiter, Cahill understood better than anyone that you needed some sizzle to go with the steak. PROS: As a builder he constantly kept the CFL in the headlines. A fantastic recruiter who brought several high-profile U.S. college players to Canada, most notably stealing Joe Theismann away from the NFL. CONS: His coaching record. Cahill finished with a 54-54-1 record with the Argos, reaching the Grey Cup just once. His reputation in Toronto is huge, not so much across the rest of the league, which hurts him in Hall-of-Fame voting. Undoubtedly one of the most colourful characters to ever wear Double Blue. 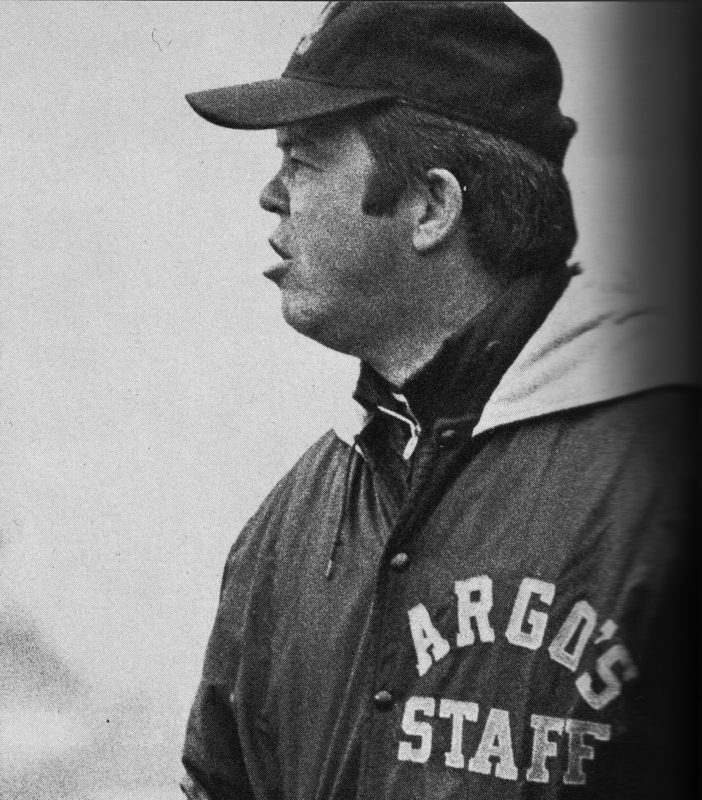 Named to multiple All-Star teams, Thornton patrolled the defensive secondary for the Argos for six seasons, after an equal number of years in Winnipeg. PROS: A two-way player with the Bombers, Thornton was a ball hawk in the secondary, recording a career-high seven interceptions in 1969. Scored eight TDs on interception returns and nine defensive TDs overall, second all-time to Byron Parker, who had 10. He had seven games where he recorded two or more picks. He’s in the top 25 in league history in that category with 43, despite playing in an era that was more run heavy. CONS: Some players from his era say his mystique was inflated and he was a very good player, just not as great as he’s remembered because of his larger-than-life image. 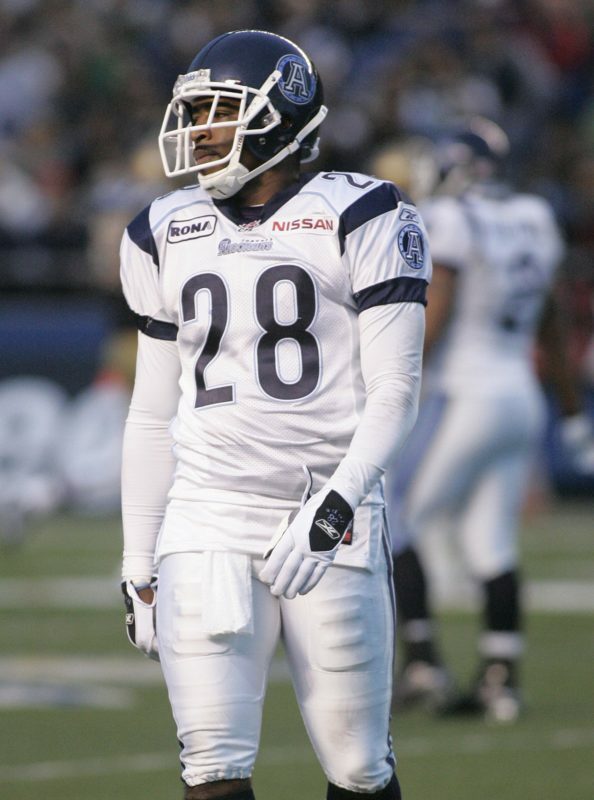 Part of the Argos ridiculously good secondary of the mid 2000s, usually stationed at the field corner, people tended not to throw in the direction of “Hops” for one main reason, he was insanely good at baiting quarterbacks and taking interceptions back for TDs. PROS: His nine touchdowns on interception returns is the CFL record, four of them came in 2006. His 10 defensive TDs is also the CFL standard. A three-time CFL All-Star. CONS: A risk taker who sometimes got beaten due to his aggressiveness. Was sometimes lost as a part of a secondary that featured players like Orlondo Steinauer, Clifford Ivory, Khalil Carter, Jordan Younger, Adrion Smith, Chuck Winters, Kenny Wheaton, Antonious Bonner, and Willie Pile. The strongest argument for Donnie Wilson getting into the Hall is that he played exceptionally well at every position he lined up in. PROS: Fifth all-time with 61 interceptions. A Divisional All-Star six times, a CFL All-Star four times, three times with Toronto. Blocked three punts. CONS: The biggest thing that may hurt him is that he played so many different positions, never establishing himself as an all-time great at any one spot. That versatility was a coach’s dream, but may hurt Wilson in Hall discussions. Only named the Argos Most Outstanding Defensive Players once, never with Edmonton. Bounced around a bit, played with Argos twice, Eskimos three times, plus one year in B.C. Hardly a shock to Argo fans, but Eiben’s statistics may surprise many fans not partial to the Double Blue. The Argos current Linebackers Coach knew a little bit about playing that position. He was a standout on both defence and special teams. PROS: A three-time CFL All-Star, five times he was an East All-Star. Holds the record among Canadian players with 116 tackles in a season (stat kept since 1987), also has the third-best mark with 100. His 814 total tackles only trails Mike O’Shea among Canadian players in CFL history, again from 1987 on. A two-time East nominee for Top Canadian, the Argo nominee six times. Named the Argos Most Outstanding Player in 2004, a year they won the Grey Cup. CONS: His name gets lost among higher-profile linebackers. He was a Ticat his final year, that hurts anyone’s chances. 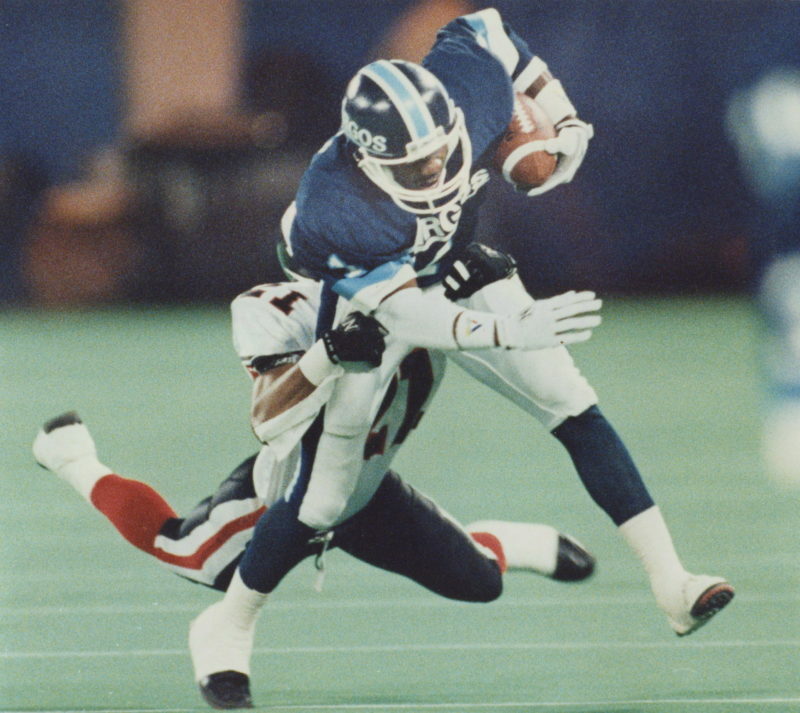 “Pre” ranks 12th all-time in CFL points scored, spending most of his time in Toronto with a brief stop in Edmonton. PROS: A fantastic kicker in all three aspects. His 45.6-yard punting average is seventh all-time, third among players who suited up for at least 100 games. An innovator, he was one of the first punters to kick low line drives away from returners. 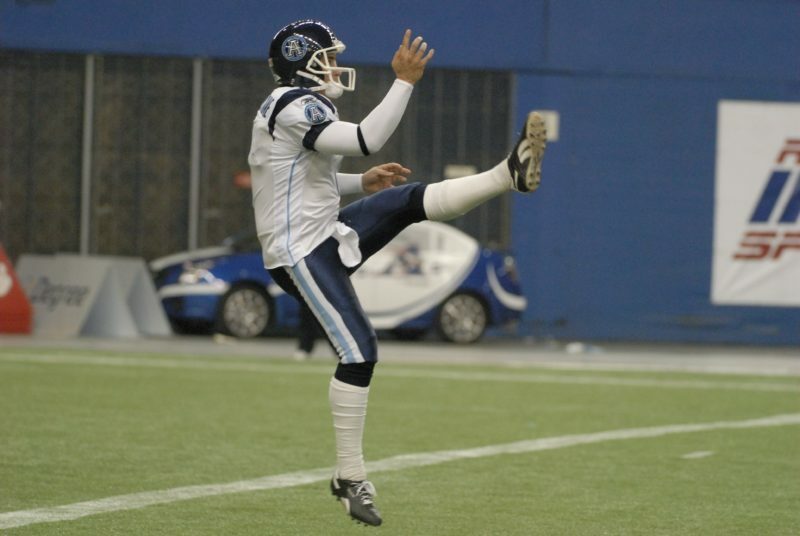 A six-time CFL all-star, all as a punter, only Hank Ilesic has more among punters or kickers. CONS: His 72.1 FG success rate falls outside of the top 20 all-time. There are other FG kickers ahead of him on the points list that are not in the Hall yet.